As one of the more famous Italian Riviera towns, Portofino has attracted a well heeled demographic for the last fifty years or more. It has more than enough substance to match the style it exudes: boasting an idyllic harbour that complements the stunning regional park that surrounds it, the town is the perfect blend of cosmopolitan sophistication and natural beauty. 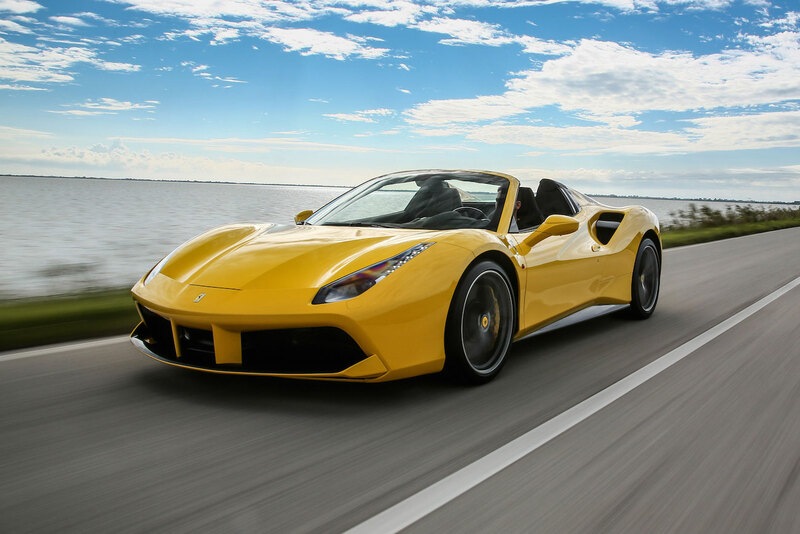 Rent a luxury supercar, hit the road and arrive in paradise. If you’re lucky enough to spend 48 hours in the picturesque port town, here are some suggestions on how to spend your time. Although you’re sure to be captivated by an array of sights, wandering along the port’s waterfront and the town’s narrow lanes will take very little time but can provide a feel for the destination’s elegant yet tranquil atmosphere. There is a range of boutiques and art galleries to admire, but people often head to the Piazetta’s cafes for some quality people- and yacht-watching. 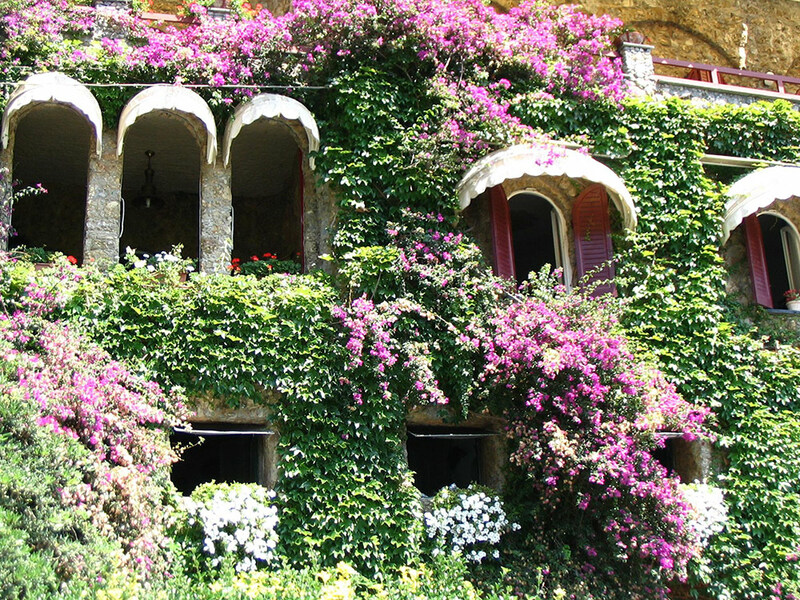 Head up to Castello Brown, a house/museum tucked away in the hills above the harbour. Once the home of Yeats Brown – the British consul to Genoa – the 16th-century castle can be reached by a path near the Botanic Garden and offers the best vantage point to take photographs of Portofino and the Mediterranean Sea. Don’t miss San Giorgio Church on the way up; the lighthouse on Punta del Capo also makes for a scenic diversion. Take a boat trip to admire the picturesque port town from the water. 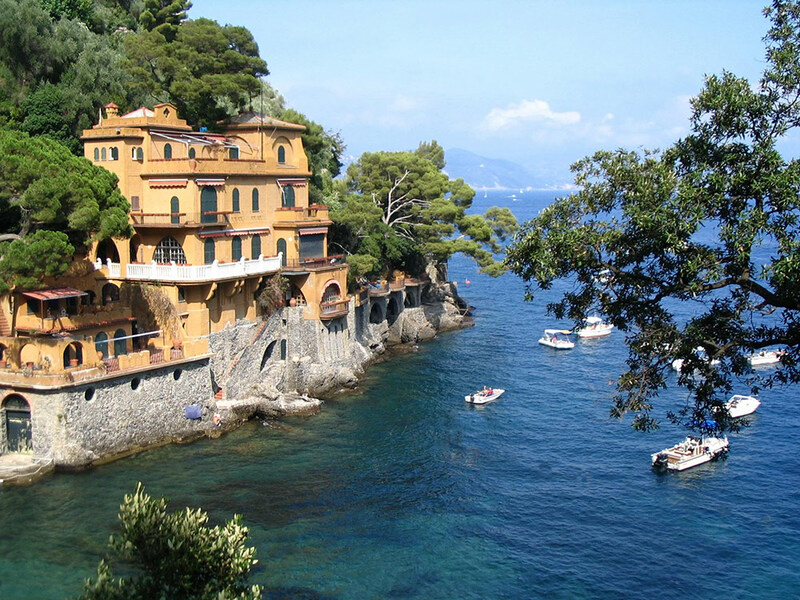 In 1998, the Italian Government sanctioned a protected marine area around Portofino to protect the area’s natural beauty. Affording fantastic views of the peninsula and the region’s marine life, a boat trip is one of the best ways to experience this protected zone. It offers insight into the best swimming spots, and even provides a rare chance to witness dolphins that play off of the promontory. Fine dining can be enjoyed along the harbour or in an al fresco lunch spot at a beautiful garden restaurant. Portofino’s restaurants take advantage of its coastal location and affinity with sumptuous seafood. 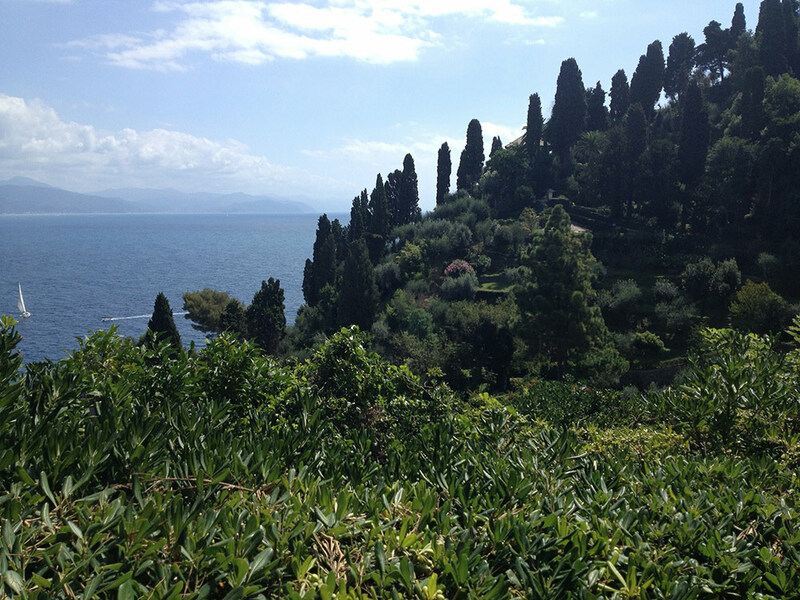 Visitors can also expect an abundance of Ligurian specialities: delicious fresh pesto, focaccia and green minestrone. Da Puny and Taverna del Marinaio are two of the best restaurants by the harbour; both are family-run with fantastic service. To sample the region’s finest wines try Winterose Wine Bar on the water’s edge, just steps away from the piazza. 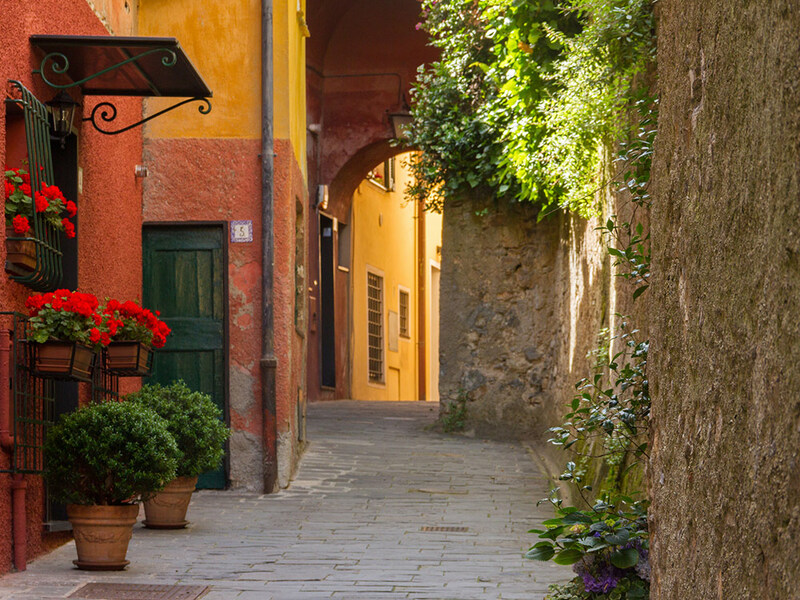 If you feel like some exercise after all that eating, it’s possible to walk between the villages of the Cinque Terre – 5 picturesque villages one hour south of Portofino. You can hike from Riomaggiore to Vernazza (around 10km) along spectacular rugged sea cliffs. Back in Portofino, the Regional Park offers many hiking opportunities along flower-lined trails, both inland and by the sea. It’s a wonderful way to explore the indigenous flora, as well as the cultivated land of olive trees and orchards. 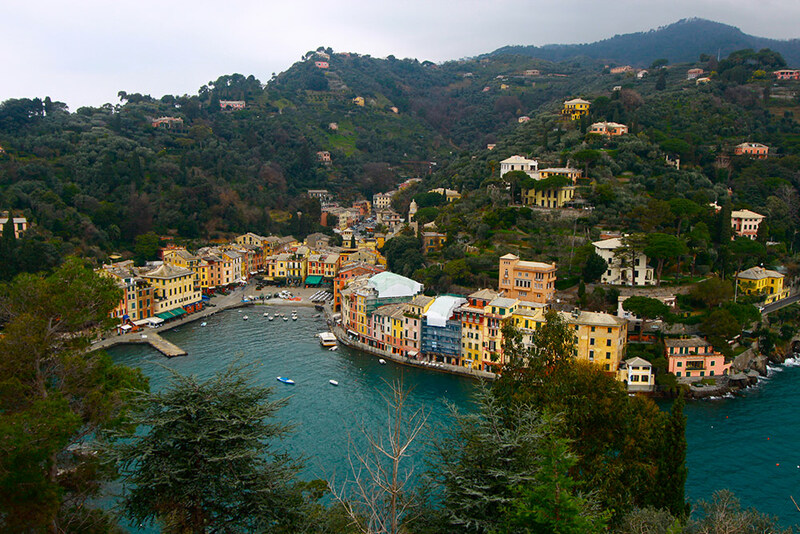 There is no better way to experience Portofino than from the spectacular roads that wind up the mountain. Spend a day exploring the surrounding region by hiring a luxury car rental to cruise along scenic roads to other beautiful fishing towns, such as Paraggi and Rapallo. 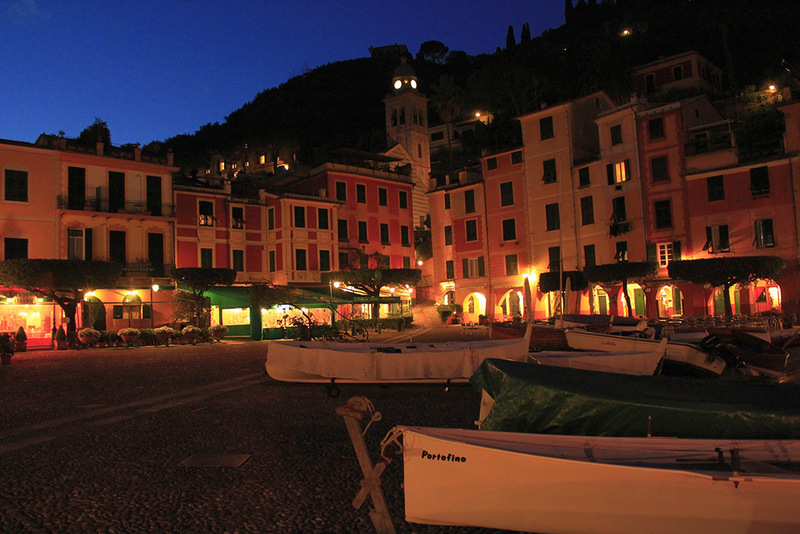 Portofino is close to the Cinque Terre. Although most of the villages are car-free, you can park at the entrance of the villages and then walk from there. It’s worth driving along the stunning winding coastal roads for the scenery alone, but it’s also a lot of fun in a sporty car like a Ferrari or a Lamborghini. Brightly painted buildings cling dramatically to cliffs, creating a picturesque landscape that is admired by seafarers and land-lovers alike. It’s an enticing location to step back in time, wandering the charming cobbled streets.